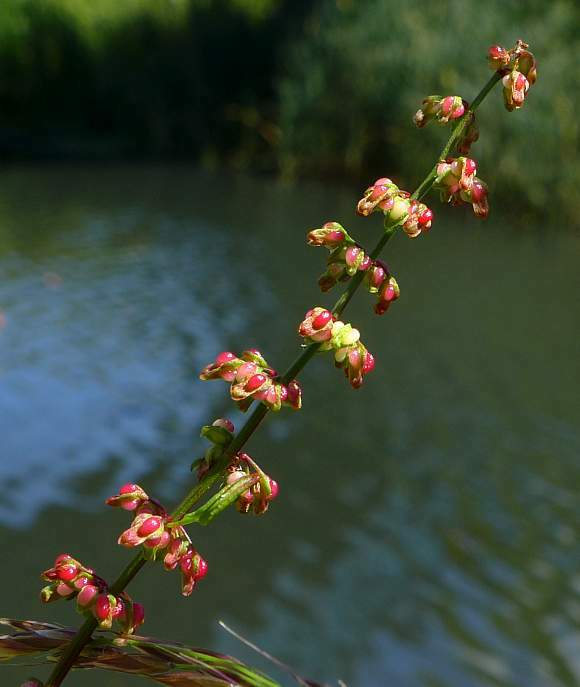 Grows to 60cm high, max 1m in damp places, such as by canals or ponds. 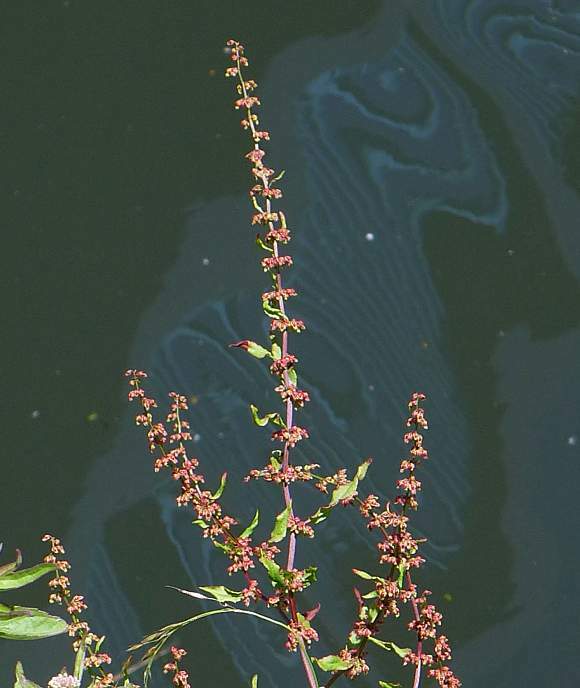 Stems not-straight, but slightly zig-zag (unlike Wood Dock where they are straight). Long branches spread apart at angles >30° to 90° (whereas in Wood Dock they are at between 15° to 25° occasionally to 45°. With leaves almost to the summit (unlike those of Wood Dock where they stop several tiers short). 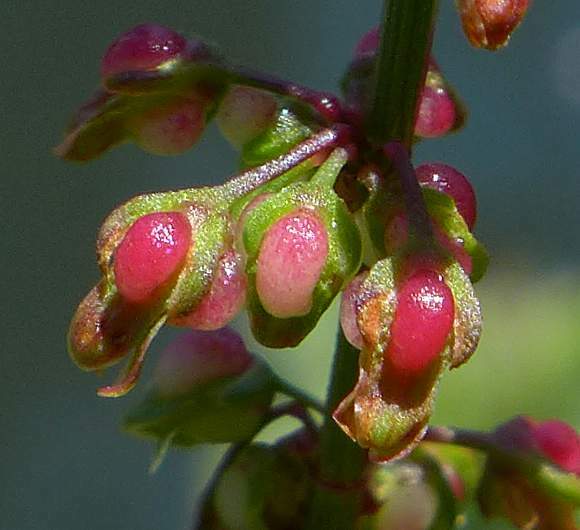 Fruits without petals in well-spaced whorls. Some leaves slightly waisted (unlike those on Wood Dock) and occasionally crisped, as here. 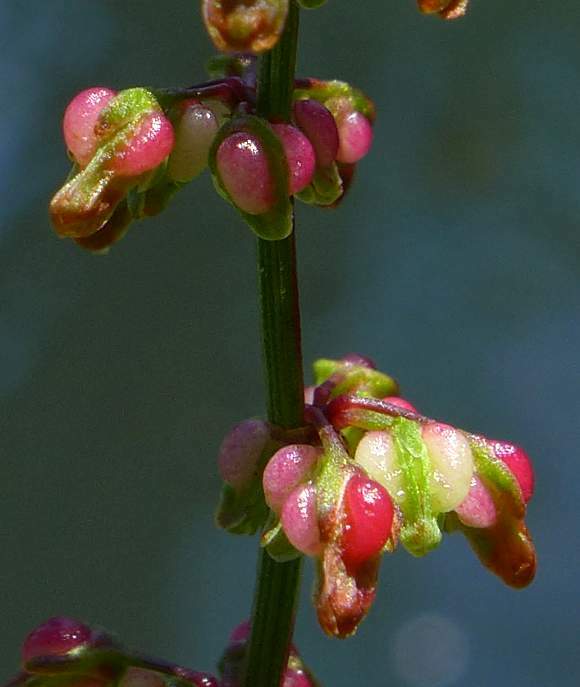 Three un-toothed (entire) oblong to narrowly-ovate tepals each host a large, oval, red, pink or white wart (tubercle). (Wood Dock has but one tepal and only one wart). 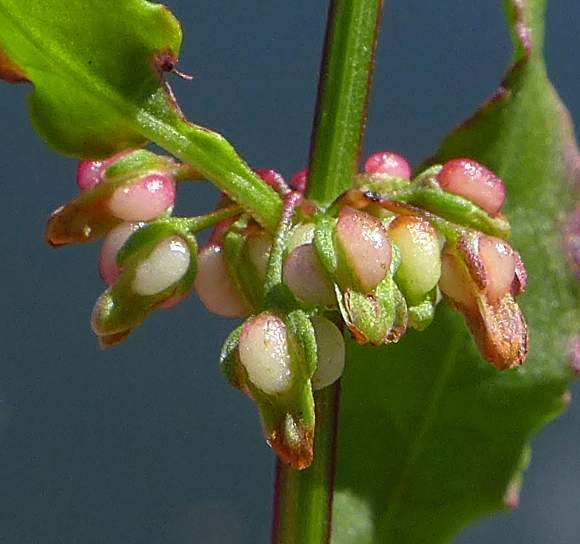 The fruits are suspended on thin stems (petioles). 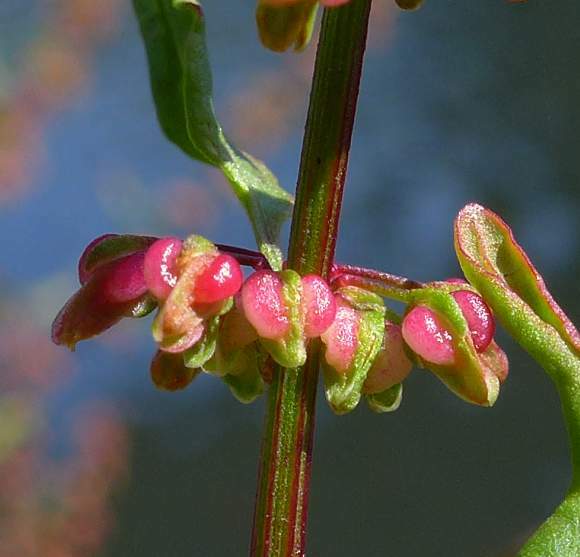 Flower stems often reddish at the base, as here. 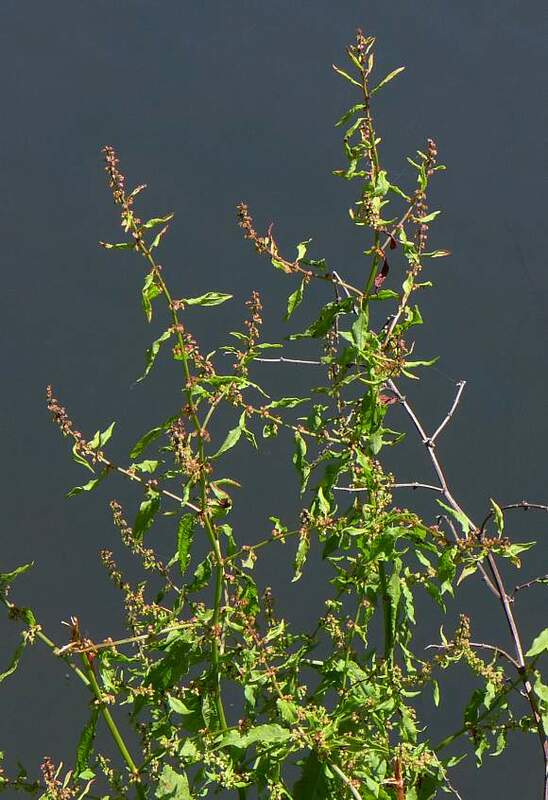 (Stem obviously square with ribs on the flowering spikes, but this is not an identifying feature). Not to be semantically confused with : Clustered Bellflower (Campanula glomerata), Clustered Clover (Trifolium glomeratum) [plants with similar names belonging to differing families]. 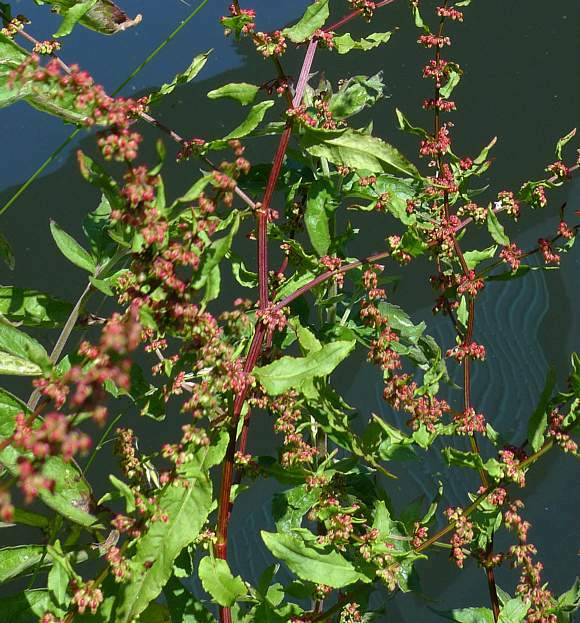 Easily mistaken for : Wood Dock (Rumex sanguineus) but that prefers drier and shadier places such as woods. Other differences are shown in the photo captions. 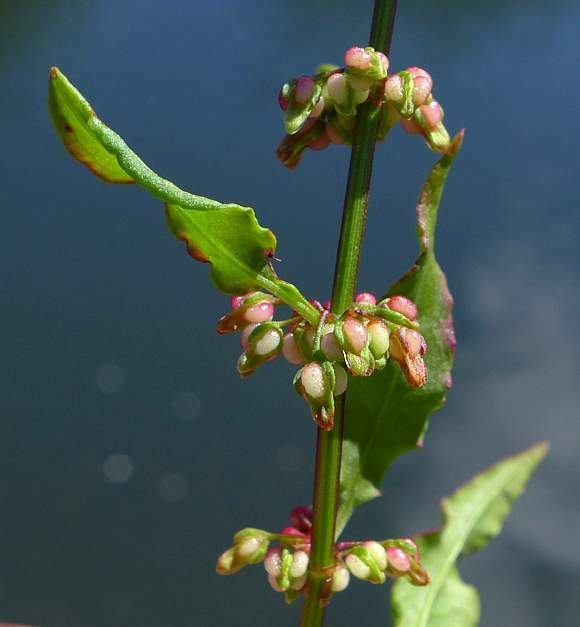 Hybridizes with the similar : Wood Dock (Rumex sanguineus) to produce Rumex × ruhmeri which is the second-most fertile hybrid, but the similarity of both parents makes confirmation of the hybrid very difficult. It is probably frequent throughout the British Isles. 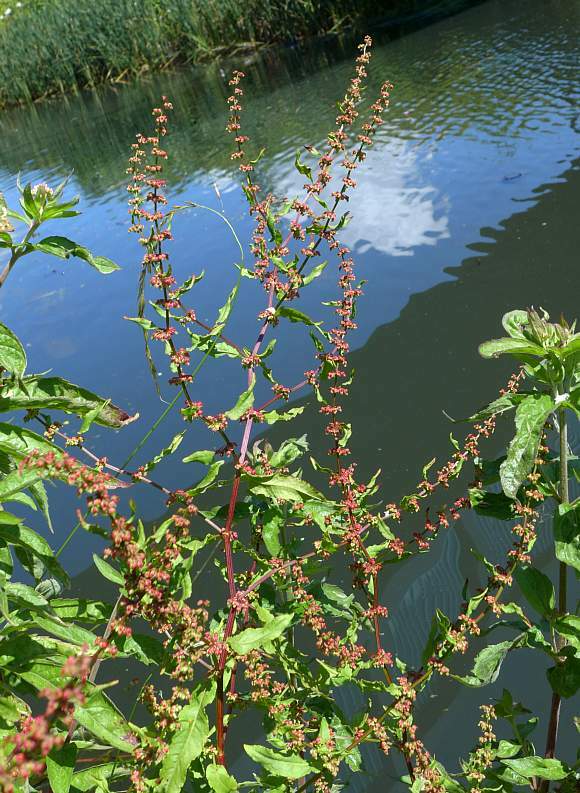 Likes to grow in sunny damp places such as by canals, beside ponds, ditches, streams, rivers and wettish meadows, field margins and field tracks. It is also able to tolerate brackish water. 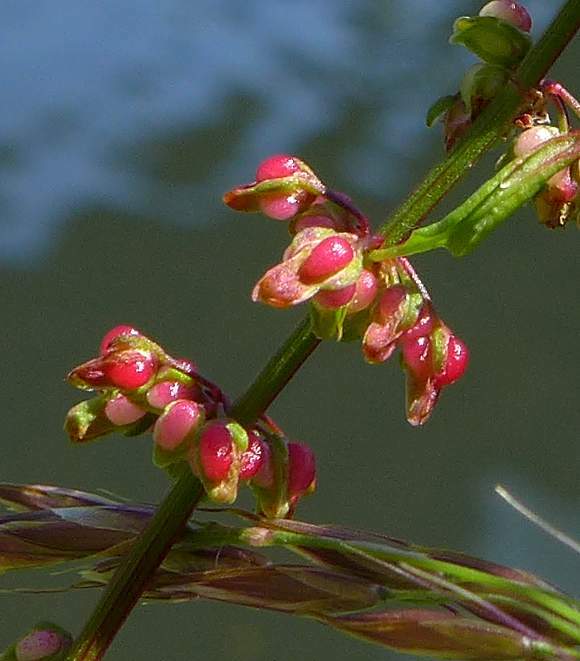 Although Docks do indeed have flowers they are seldom seen in real life and seldom mentioned or shown in identification books because the flowers themselves must have no unique identifying features apart from the shape of the tepals; unlike as with the fruits which come afterwards and last a lot longer than the flowers.